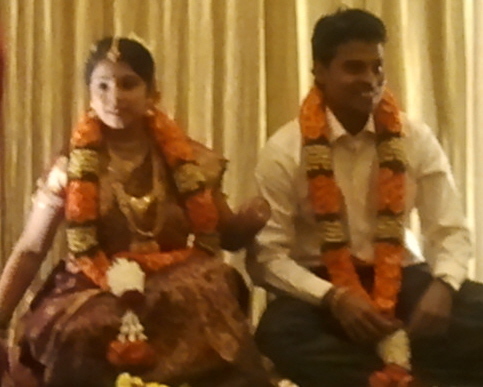 My brother-in-law Shri G. Vasantharajan's daughter Saipriya's betrothal was held in Chennai GRT Grand Kalyana Mandapam at T Nagar, on 16th February 2011. The grand betrothal function was attended by several members of the family and friends. I was fortunate to attend with family. Saipriya's wedding with the groom Ganapathy Vignesh is scheduled for August 2011. Saipriya is a law student doing her final year LL.B. at Bangalore Institute of Legal Studies, while Ganapathy Vignesh is a Cricketer by profession, currently playing for the Chennai Superkings of IPL!